Variety is something that many homeowners don’t even realize they need or might enjoy, until they actually get to see a few products for themselves. One of those products is luxury vinyl plank (LVP). This product not only has all the styles and designs that make it easy to match your decor, but it also has benefits that will save you money in the long run. The availability of a waterproof version only makes it an easier choice when you’re trying to decide upon a floor covering for your home. Kelly’s Carpet Omaha is more than just your locally owned and operated flooring store. We go to great lengths to assure the very best in customer satisfaction, in addition to providing you with the best products and services. On top of all this, we are here to give support to our customers, long after the flooring has been installed. We invite you to stop by our showroom in Omaha, Nebraska. From there, we serve the Omaha and surrounding areas as well as Elkhorn, NE, Papillion, NE, Ralston, NE, Bennington, NE, and Bellevue, NE. We look forward to adding you to our list of satisfied customers. 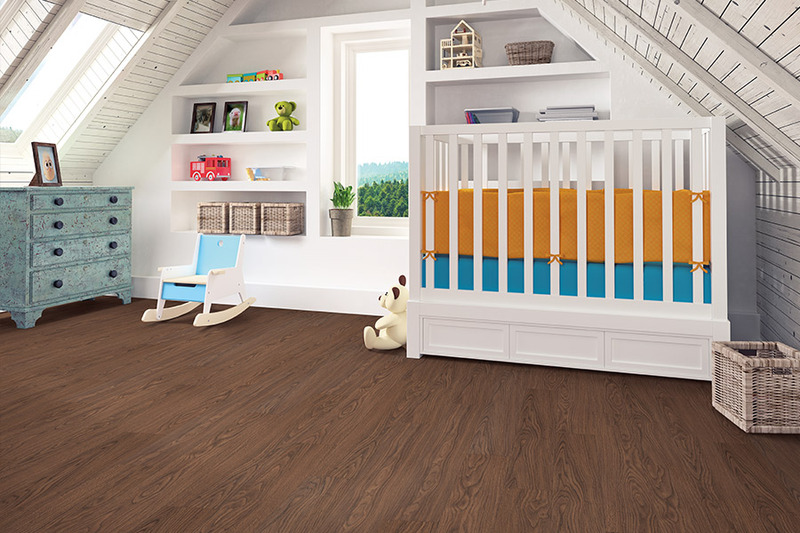 There’s hardly a room that luxury vinyl plank won’t fit into. In the kitchen, its rigid stability and water resistance means you won’t have to worry about spills or messes, as they are easy to clean up. In the living room, you can take advantage of the way this product mimics such natural resources as solid hardwood flooring, right down to the grain pattern, texture and stain colors. Bedrooms are a great room to put this flooring to work in, as the lack of heavy foot traffic will allow you to take full advantage of the life span it offers. 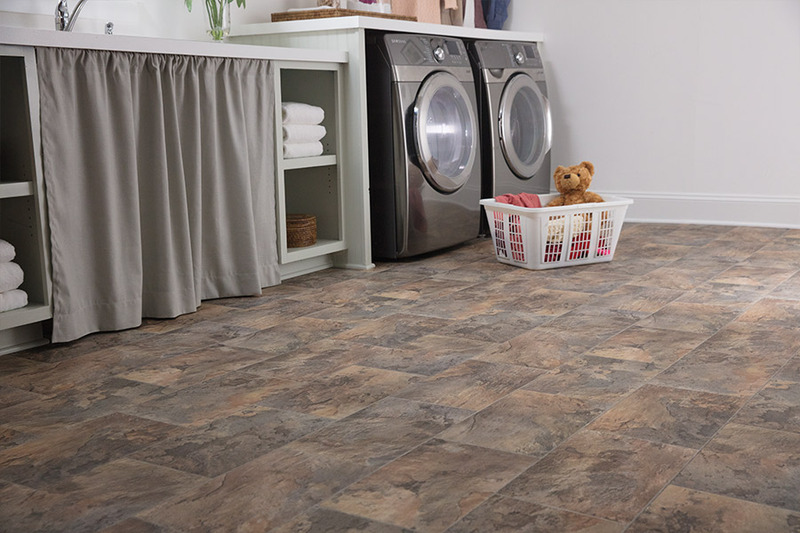 If you choose the waterproof version, you’ll easily be able to place this flooring in your bathroom, laundry room, mudroom and foyer, and never have to worry if the moisture and humidity will cause problems. In fact, this flooring is completely capable of living through a flood, and not being rendered useless. Your installers will make quick work of the installation of this product. You won’t have to worry about relocating your family or your pets, and better still, you’ll be able to walk on your floors as soon as the installation is complete. It is just as easy to maintain and keep clean, as you’ll really only need a broom and mop to keep these floors looking brand new. 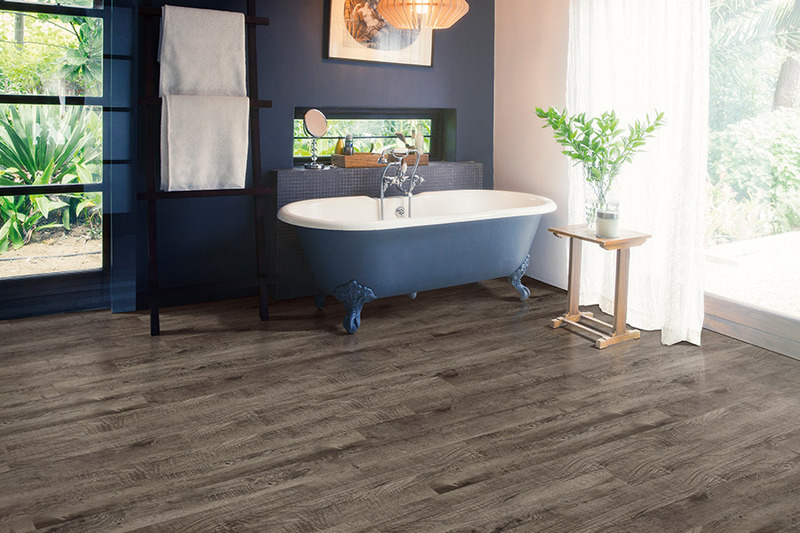 Luxury vinyl tile (LVT) flooring is among the most versatile and high-performing options available today. Simultaneously strong and soft underfoot, LVT achieves a high level of comfort while offering the realistic beauty of natural wood, stone or ceramic tile. Heat and sunlight resistant, it maintains its shape and temperature year-round. Vinyl is also waterproof, making it perfect for bathrooms, kitchens and other high-traffic areas. 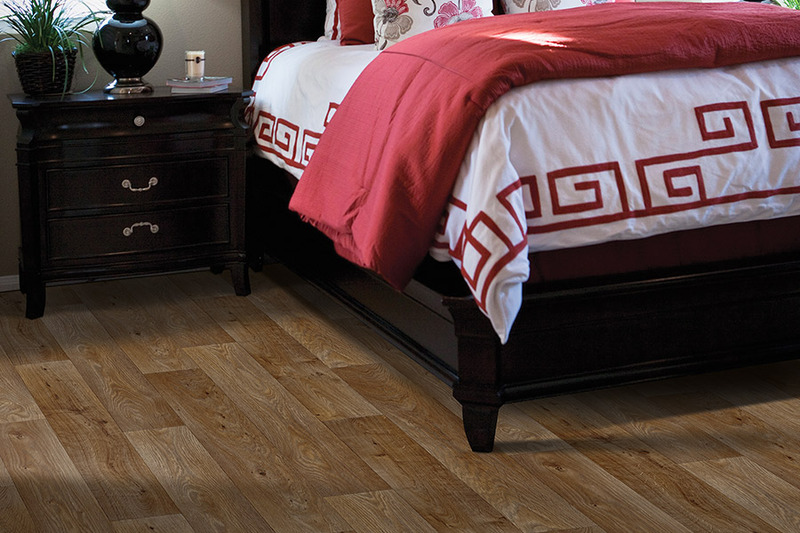 Luxury vinyl flooring is a great option for a variety of room types and needs. Learn what makes LVT so beautiful and durable. Our flooring installation experts can put your new luxury vinyl floors in quickly and efficiently. Know how to prepare for installation day and what to expect before, during and after the process. 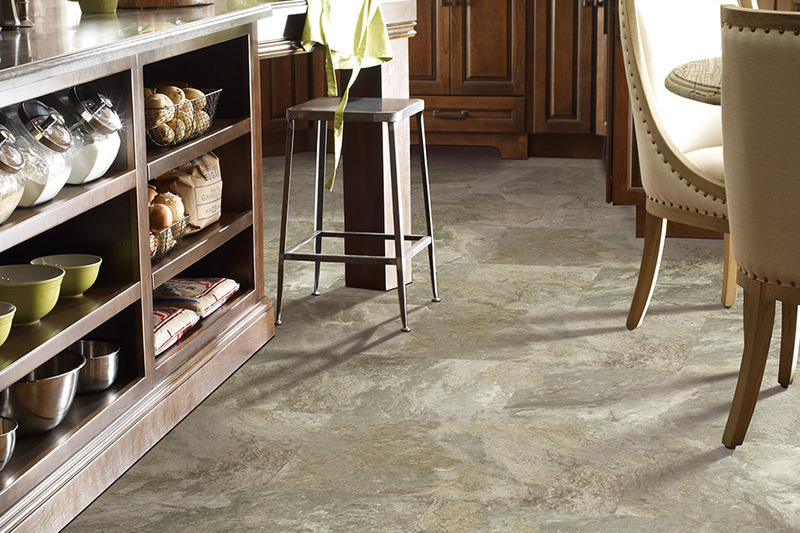 Luxury vinyl tile's high durability and resistance to damage and wear makes it a great options for active families. Learn the basic steps toward keeping your new LVT floor looking great for many years.